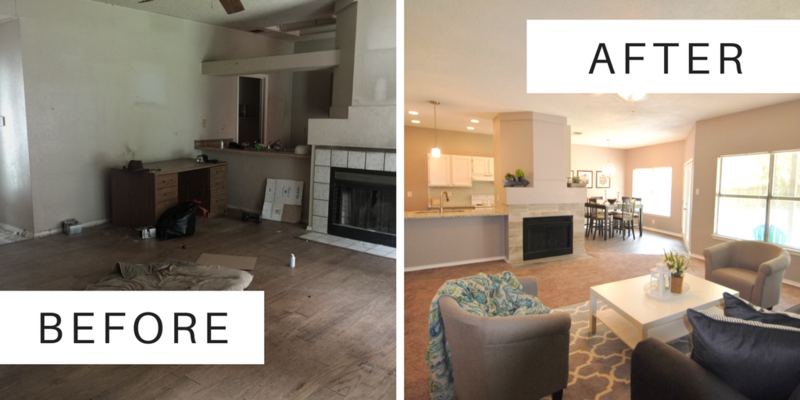 So you’re in the industry and you want to know what if house flipping is right for you? That’s common! In fact, there are whole discussion threads on sites like BiggerPockets just trying to figure out where to start or where to grow your business. This question isn’t exclusive to beginners. Experienced real estate investors also find themselves wondering what if house flipping is the right fit for them to expand their business to. 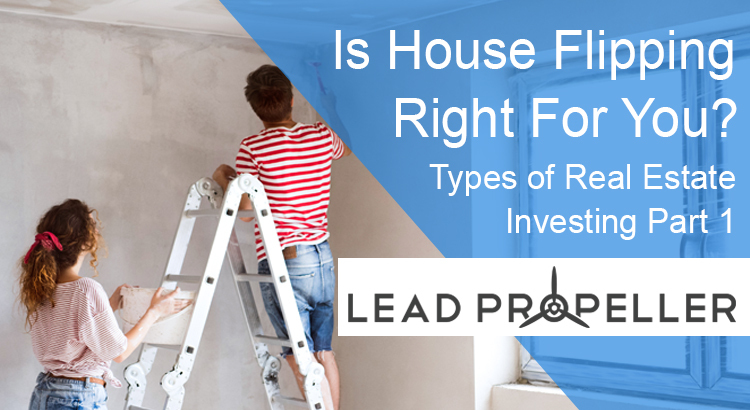 In this article we’re going to go over the different types of investing, what the best strategies are, and if answer the question: is house flipping right for you and your business? Get your know-all information right here! 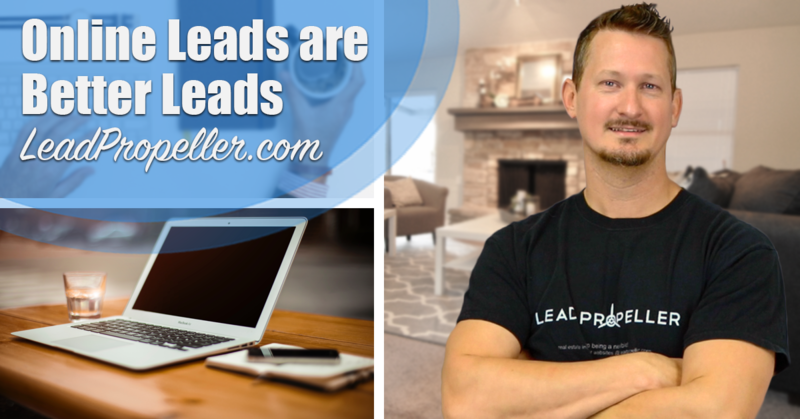 And if you want to get a head start in growing your real estate investing business and hit the ground running when it comes to lead generation, click the button below! You’ll get a free seat in our next weekly webinar (hosted by our founder, Danny Johnson) that gives you the best insider tips and tricks to generation high quality leads. Why Are There Different Types of Real Estate Investing? Just like any industry, real estate investing is diverse. Because of this diversity it can be difficult to find which type of real estate investing is right for you and your business. Are you a wholesaler, house flipper, commercial buyer, birddogger, land seller, or something else? Before we get to that, it’s important to know that many real estate investors deal in multiple types of investing strategies. We couldn’t have said it better ourselves. To really know what type of real estate investing is right for you, you have to educate yourself on different strategies and try it out to see what works for you and what doesn’t. 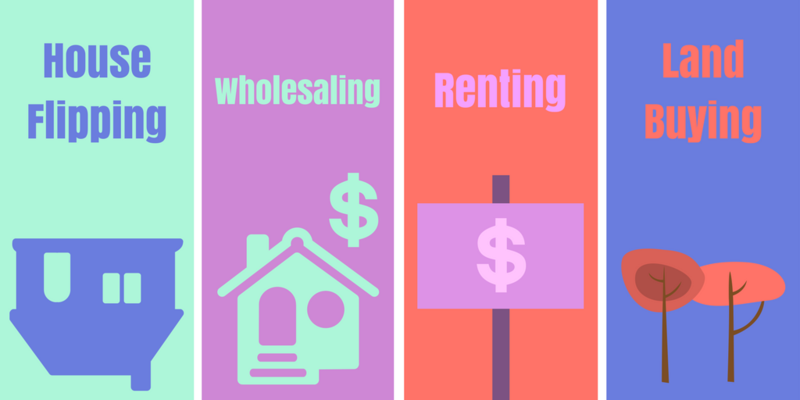 You might know a successful real estate wholesaler, but wholesaling might not be the best fit for you and your business. That’s ok! As the old saying goes, there’s more than one way to skin a cat. The same applies to real estate investing. There’s more than one way to invest in real estate. Let’s go over one of the most popular strategies and answer the question: is house flipping right for you and your real estate investing business? Let’s say you bought a house for $120k and invested $25k in repairs. Your total costs have come to $145k, which means to break even you have to sell the house for that price. But you don’t just want to break even, you want to make a profit. That’s where comparing comps in the area is important. You don’t want your house to be the most expensive (or it’ll never sell), but at the same time you don’t want it to be too cheap because you want to gross a decent profit. So you would want to be selling this house somewhere between the $160k – $200k range depending on the comps in the area and the value you raised the house to. Oh geez, that was supposed to be simple but ended up a little complicated didn’t it? 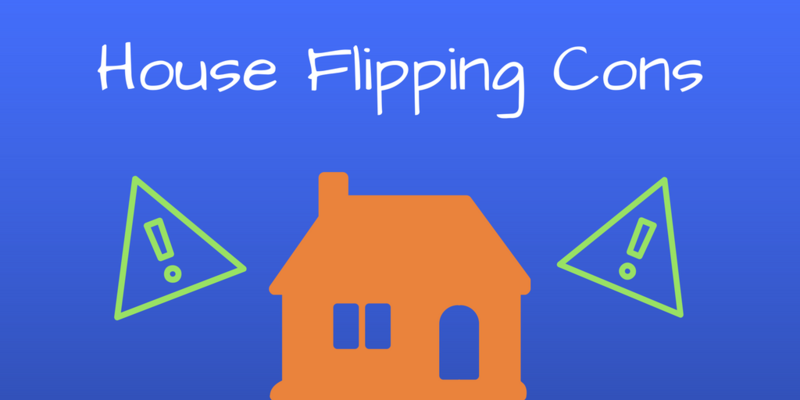 Ok, let’s go over the pros and cons of house flipping so you can see is house flipping right for you. This process isn’t always fast. Some houses just need a new coat of paint and a good cleaning, but others need new foundations, new roofs, new piping, new everything! Depending on how much your property needs, this might be a lengthy process. You can always see this as a silver lining, though. Because you’ll have to find and manage contractors, get in touch with realtors and title companies, talk to the city about codes and inspections, and so much more, you’ll be getting valuable experience in the real estate investing industry. It’s hard work, but it’s worth it. Like we said above, you’re going to be getting in contact with lots of people in all aspects of the real estate industry. This is a hands on way to build your network and your team. Your real estate investing business isn’t just you, it’s also your contractors, your realtors, your title company, your bank, and so on. If you value your property the right way then you’re looking at a good return on your investment. House flipping improves the property which allows you to resell it for a higher price. While other types of real estate investing turn around and sell a house immediately, they don’t get as big of a return because they didn’t increase the value (we’ll talk about this when we get to wholesaling). I mean, every investment is. However, house flipping can be a very risky type of real estate investing if you’re new to the industry. First time house flippers tend to spend too much time repairing the property, too much money in repairs, and often don’t value the property high enough (or too high). All of those little mistakes add up and make it a risky venture, especially if you’re a first time real estate investor. This often goes unlooked by beginners, but seasoned real estate investors have this down. Again, it all comes back to valuing your property for the sale. If you’re not taking property taxes into account when you’re setting a price, then there’s a very real possibility that your profit will all to go taxes. The Balance puts it like this: “Any profit that you make on an investment property may be subject to capital gains taxes, and depending on whether you owned the property for less than or more than one year, your capital gains rate will vary.” Yikes. Every house as its secrets. You might not notice expensive issues with the property until after you’ve bought it. For example, let’s say you buy a house that looks like it’ll just need some minor repairs. When you’re in the rehabbing part of the house flipping process suddenly you discover major water damage in the attic. That’s pretty expensive. Little things like that add up to unanticipated expenses. That’s why you always need to be sure to examine the house before you buy it so that your expenses aren’t overwhelming. While these strategies work, they are very time consuming. You’ll only get a response from roughly 1 out of every 50 phone calls you make. That’s…just not a very good return. That’s why a lot of expert real estate investors have migrated over to having a lead generating system. More simply put, they have an optimized website for collecting house flipping leads. In fact the majority of motivated sellers start their search for buyers online. That’s why so many successful investors have a system in place to collect those leads when they search for buyers. Think about it from a motivated seller’s point of view. If you’re trying to sell a house quickly, where would you start? Remember, most motivated sellers have a house that their either can’t afford anymore, a house that they can’t repair, a house they inherited that they can’t keep, or they need to sell fast for one reason or another. The majority of motivated sellers are looking for a non-traditional way to sell. So where would you start if you were in that situation? 9 out of 10 times, you’d start online. That’s why house flippers have websites that are specifically targeted to attract motivated sellers. Say a motivated seller searches something in Google like “Sell a house without repairs”. Does your real estate investing business show up? If the answer is no, then you need a lead generating system in place. The very first step is having a website that’s optimized for what motivated sellers are searching for. You’re in luck because here at LeadPropeller we specialize in optimized websites for every type of real estate investing strategy. Is house flipping right for you? Then you have got to check out our motivated seller websites to see if it’s the right fit for your real estate investing business. You can get a head start on your house flipping business with a free seat in our weekly webinar by clicking the button below. 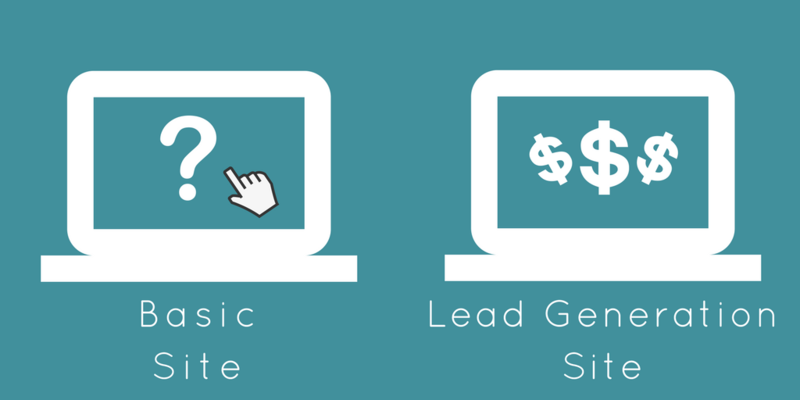 You’ll learn all the ins and outs of lead generating to give your house flipping business a boost in your local market! 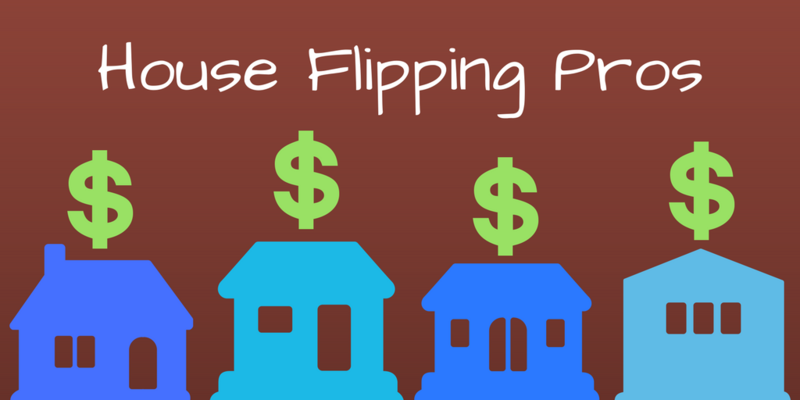 Is House Flipping Right for You? There are lots of different types of real estate investing. Is house flipping right for you and your business? Now that you know the pros and cons, the risks and rewards, the active and the passive strategies, are you ready to add it to your business? If house flipping isn’t the right fit for you, keep an eye out for the next 3 parts of our real estate investing strategies series. We’ll be talking about wholesaling, birddogging, renting, and land investing in the coming articles! See which type of real estate investing is the best fit for your business with our strategies and guides. See you in the next post!